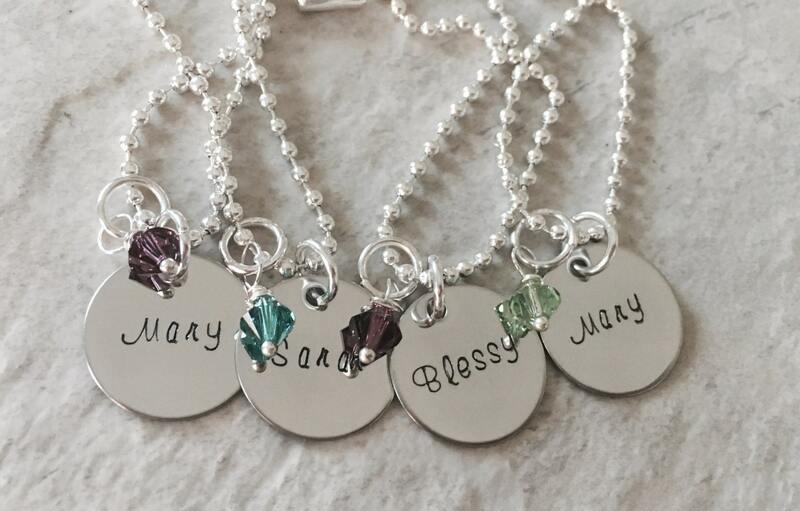 Small circle hand stamped charm with an name on it. 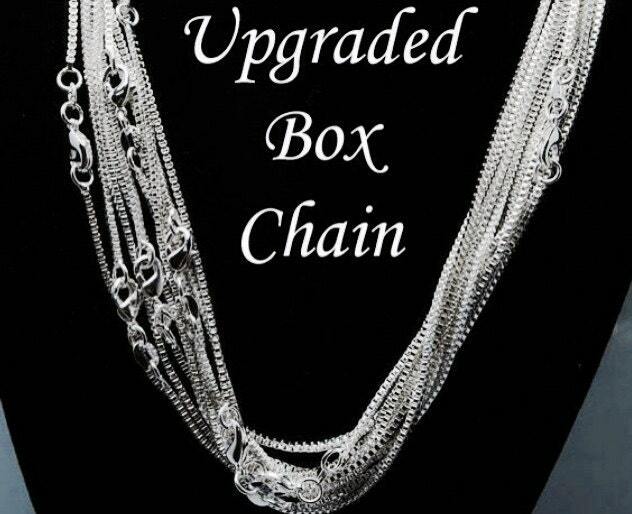 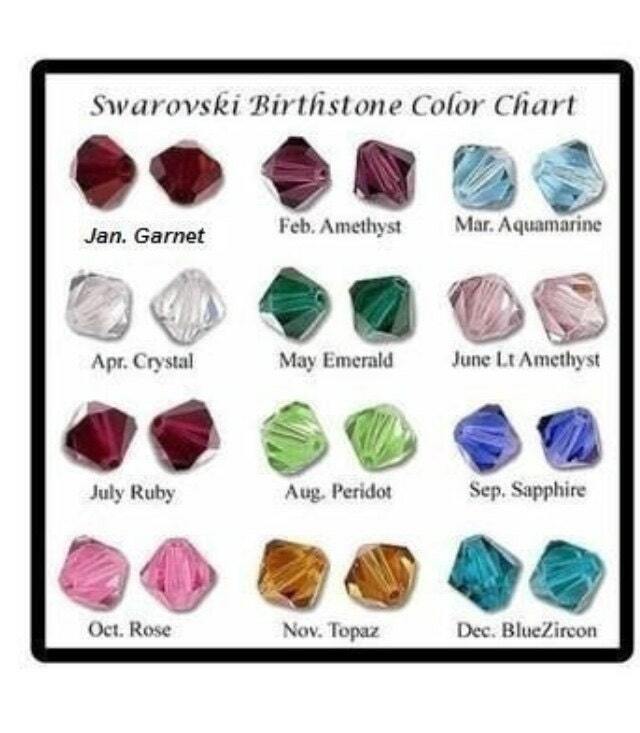 Genuine Swarovski Birthstone or pearl is included. 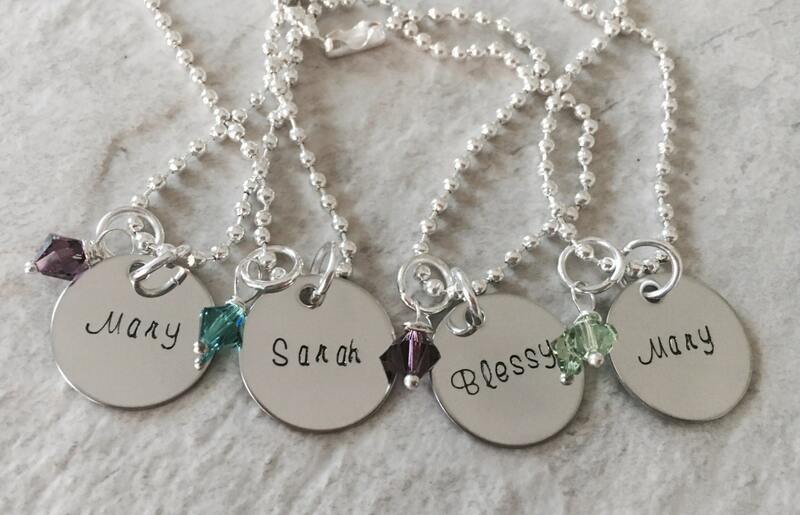 These make a great gift for bridesmaids, teachers, daughters, mothers, etc.